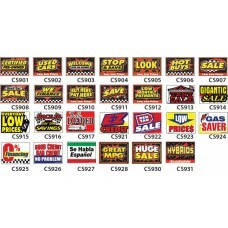 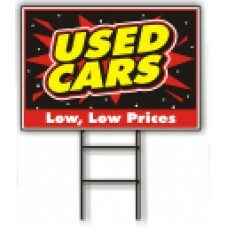 Our selection of curb signs feature bold attractive designs and messages geared towards auto dealerships. 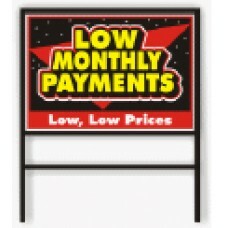 The signs are made from coroplast plastic and are printed on two sides with vibrant inks. 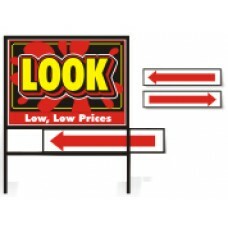 We also offer two options for curb sign holders: an economy and deluxe version, as will as arrow riders that fit the deluxe holders to point prospective customers towards your business.